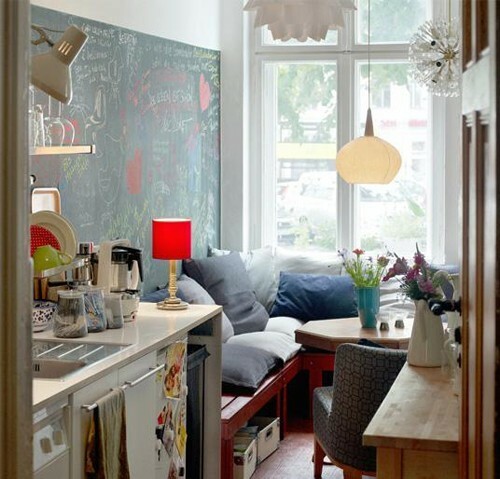 Beautiful compact kitchen that demonstrates how the smallest of spaces can be made interesting, useful and inviting. Great mix of built in seating, cushions, different hanging shades, open shelves and stretching blackboard. I'm ready to downsize!